Do you have some rooms in your house where the vents seem to barely blow out any air at all while others make you feel like you own elves, 8 reindeer, and a sleigh? If so, more than likely you have an unbalanced airflow problem. The most common cause of airflow problems in home HVAC systems is usually pertaining to the ductwork and intake registers. If your home is cooled by an air handler, you most likely have seen a grate in the wall or on the ceiling somewhere. This grate is called the intake or return register. When your air conditioner/heat pump is running, it is not just filling your home with warm or cool air. The system cannot continually keep pumping air into your home without causing a pressure buildup. That is where the return register comes in. The register’s job is to pull the conditioned air that is already in your home out and cycle it back into the air handler where it is passed back over the coils and either reheated or re-refrigerated to be pumped back in. Thus, the return register plays an important role in maintaining the efficiency of your home’s HVAC system. Dust accumulation on register grates. 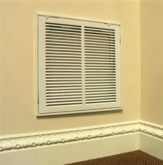 If the grate is covered in dust, it will not take in the air capacity it is supposed to, meaning not as much is making it back to the air handler to be recycled and pumped back in through your vents. Dirty filters. The return register is where your air filter goes. When it draws air out from your house, it passes through the filter in order to keep allergens and pollutants from being pumped back into your home. When the filter is dirty and has not been changed in a long time, it restricts the flow of air into the register, meaning not only are you not going to get enough airflow out, but your system runs longer and less energy efficient because it has to work harder to cool or heat your home. Blocked return registers. Many homeowners place furniture in front of or over the register if it is located on the wall. Just as is the case with dust buildup and dirty filters, if something is in the way, it will restrict the airflow into the register and thus mean less air is getting passed back into the handler to be recooled or heated and you will get an unbalanced airflow. It is also possible that if supply registers (or as most call them, vents) are covered, closed, or blocked, it can cause an imbalance. For example if you have a couch or a floor length drape over a vent, it restricts the air coming out from being able to efficiently circulate, and even worse, keeps your system running longer and harder to do its job, which costs you in the long run. Incorrectly routed ducts. When ducts, in particular flex ducts, overlap or are too long, it can restrict and slow the air flow coming through your vents. Dust buildup. 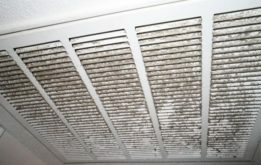 Dust and other pollutants such as mold can also clog up ductwork, resulting in restriction of airflow or flow being cut off. Clean the dust off of your registers regularly. Take the grate/cover off, run it under some water, and wipe it clean with a duster or rag. Change your air filters once per month. 50% of people in a recent survey admitted they know they should change them regularly, but still don’t. It can save you on your energy bills and improve your air quality. So, why not make the investment? Consider your furniture arrangement. You don’t have to completely shift your room around. Just make sure there is enough space between the register and furniture and that nothing is directly in front of the register grate. Also, make sure that nothing is blocking vents or sitting directly over floor vents. Don’t close off rooms or vents. Many believe that closing off rooms that are not in use will help their home stay cooler/warmer and that it will be quicker and more efficient that way. That is a myth. HVAC systems circulate air. Therefore, in order for the air to properly cycle, all doors and vents should be open. If not, you create an imbalance and cost yourself more money because your system will run longer than needed to achieve and maintain your desired level of comfort. 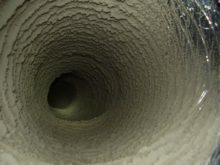 Have your ducts professionally cleaned. 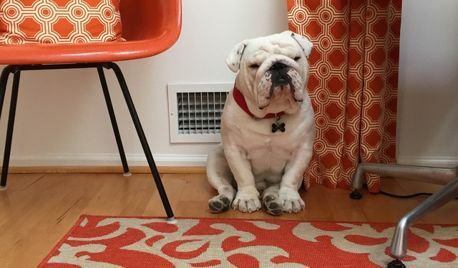 Your ducts are a prime breeding ground for mold and a means of spreading other harmful pathogens and allergens such as dust, pet dander, and unpleasant odors. Don’t put yourself at risk. The National Air Duct Cleaners Association recommends a professional cleaning once every three to five years. If you are interested, we do all kinds of duct work and would love to provide you with a free estimate. Just give our HVAC experts a call! Hopefully you’ve found this blog to be very informative and helpful. We would be more than happy to answer any other questions you may have and give you more helpful advice on how to keep your home comfortable and your system running as energy and cost efficiently as possible. Just give us a call at (864)-578-7575.